It's funny how as we grow older, the things that we think and talk about change tremendously. During my schooling days, it used to be rants of never-ending assignments, boys, shopping, yumcha, hang out, going for road trips, and desperation to finish my course and get out of school! Nowadays when we sit down and have a chat with our circle of friends, it's always about money, the economy, investments, the next wedding and full moon party we're going to attend, pregnancy, labour experiences, the next car or house we're eyeing on, etc. We don't realise this change of topics until we sit down to reflect on how things have truly changed and how much we've grown! With so many of our friends now getting married and settling down as well, many are constantly on the look-out for the best properties in town to invest in. Boon and I, though we've only purchased our first property 4 years ago, are also on the look-out for the next one almost all the time. I guess at this age, any new development interests us cos we just want to live in a newer, better and safer community! 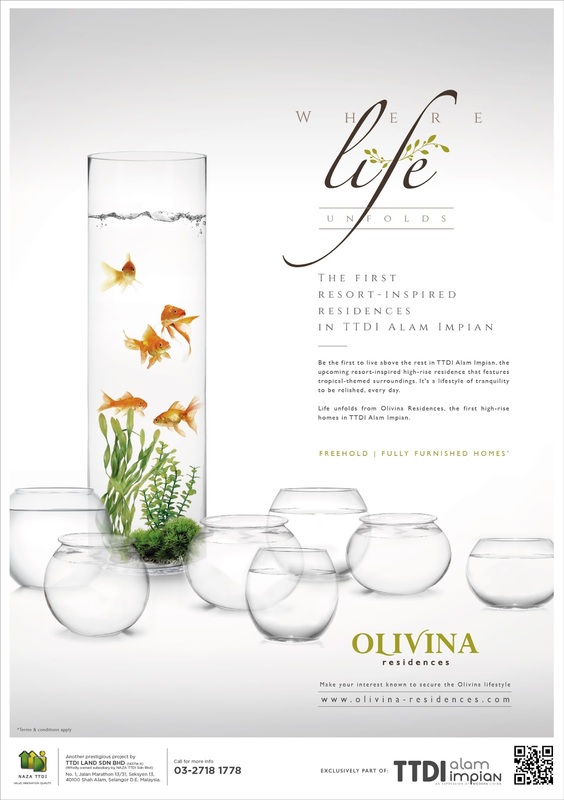 Was introduced to this new property development by Naza TTDI called Olivina Residences, and it really sounds like the next big thing in the world of real estates! One of the biggest things that Boon and I, as well as most people always look for in a house is the location. It has to be nearby to all our usual activities and accessible to major roads and highways, and TTDI Alam Impian is located at one of most strategic spots, accessible to major roads and highways such as Lebuhraya Kemuning Shah Alam (LKSA), which directly connects the township to Federal Highway as well as the KESAS highway. Convenience is one of the key things that the developers behind TTDI Alam Impian focus on, where activity hubs, attractions and other cities are just a short drive away. Now, on to Olivina Residences. They're the first high-rise homes in TTDI Alam Impian, inspired by quality living in the vicinity of tropical greens and refreshing water features. It offers one of the best restort-style living with supreme accessibility, connected by the North Klang Valley Expressway, North-South Expressway Central Link, Shah Alam Expressway and Lebuhraya Kemuning-Shah Alam to amenities located within Shah Alam and beyond. 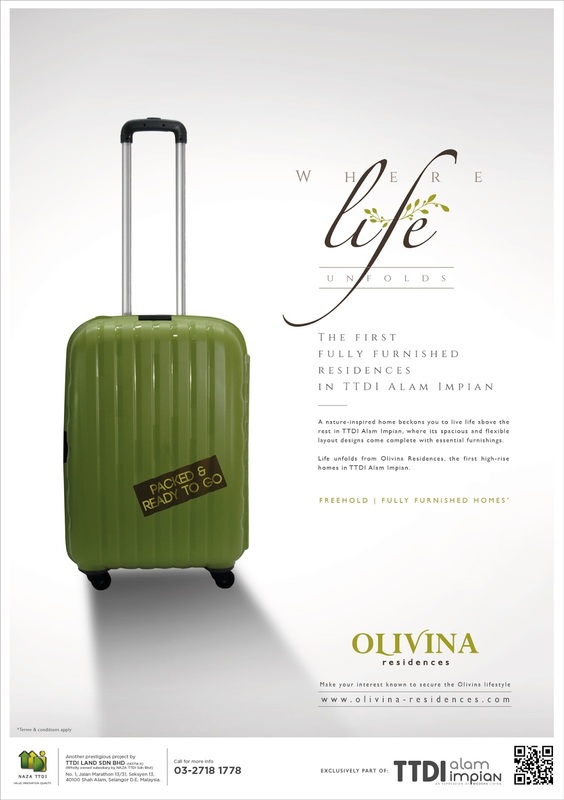 I guess one of the most attractive features of Olivina Residences is that its units come fully furnished! Renovation and buying furniture can cost a bomb these days, and it could also be quite a headache to think about how to furnish a brand new house without the help of a professional interior designer. They are many people that I know who were a little too ambitious and tried taking furnishing their brand new homes into their own hands, and ended up totally not doing justice to the house cos the furniture they chose just do not go well together. Imagine packing your bags and moving into a brand new, professionally furnished house and not having to worry about hiccups on renovation, kena cheated by contractors (true storyyyyy), and a bad mix of furniture! It actually is quite a dream come true to many especially to those who lead hectic lifestyles. Imagine the convenience! Did I mention that you also have a choice of going for the high rise (Olivina Loft) or low rise (Olivina Grande) units, suitable for both small and large families alike with a minimum of 3 bedrooms and 2-storey clubhouse, as well as 2 parking bays with front and side gardens! And best of all, the units are freehold units! 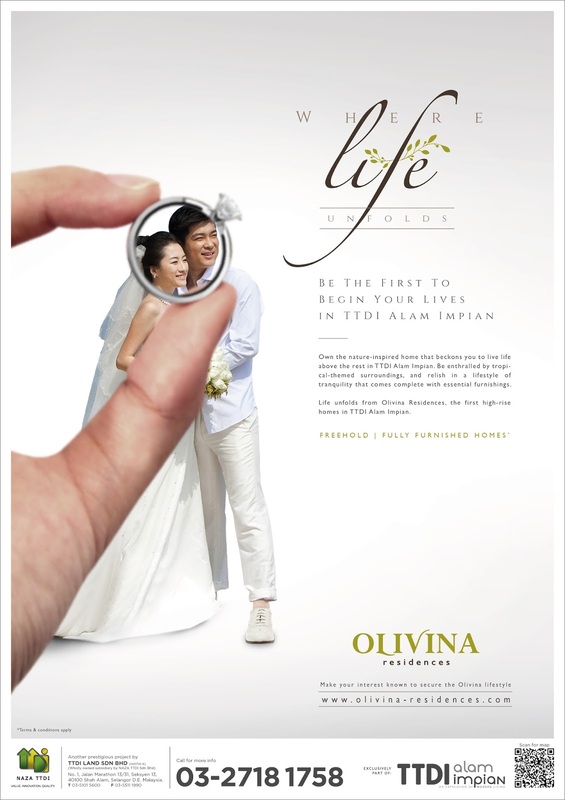 Olivina Residences will be organising an exclusive preview of their unites on 17-18th October 2015, and you're invited to attend and check them out yourselves! There'll also be a special talk by Ho Chin Soon (property specialist), En. Ahyat Isyak and Marinah (Numerology) during the preview. RSVP today to receive your invitation. Only on a first-come-first-serve basis as units are limited! 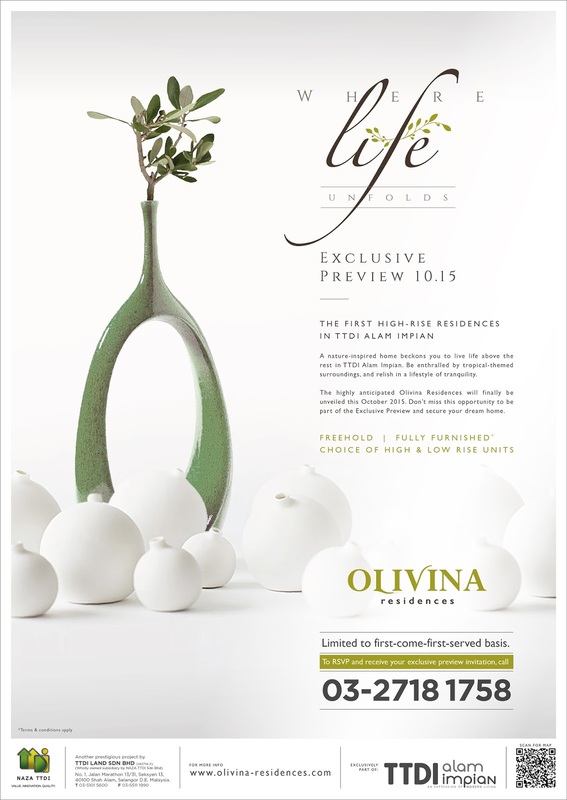 Register at www.olivina-residences.com to secure your invite to the exclusive preview! I heard that there are attractive sales packages offered too. For more details, contact 03-2718 1778! This post is filed under: Advertorials, Lifestyle.